You have the right to make a request to see if Oakhill Veterinary Centre Ltd. holds personal data about you. Our Data Protection Manager will acknowledge receipt of your request and be in touch to confirm your identity. You will need to provide a copy of a current passport or driving licence. We will process your request as quickly as possible within 30 calendar days. 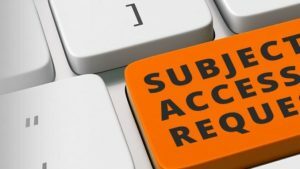 If you wish to make a request on behalf of someone else, you will need to provide their written authorisation. Please contact our Data Protection Manager on 01772 861300 for advice on the best way to do this. Please provide details of the data you are requesting and why you think we hold personal data on you, providing as much information as possible. For example, you may have registered as a client and used our services in the past to care for your pet. Please tick this box to confirm that you are the data subject and the personal data you are requesting is about you.